Home » Blog » BLOODSTOCK MAKES OUR LIVES EVEN BETTER, AGAIN! 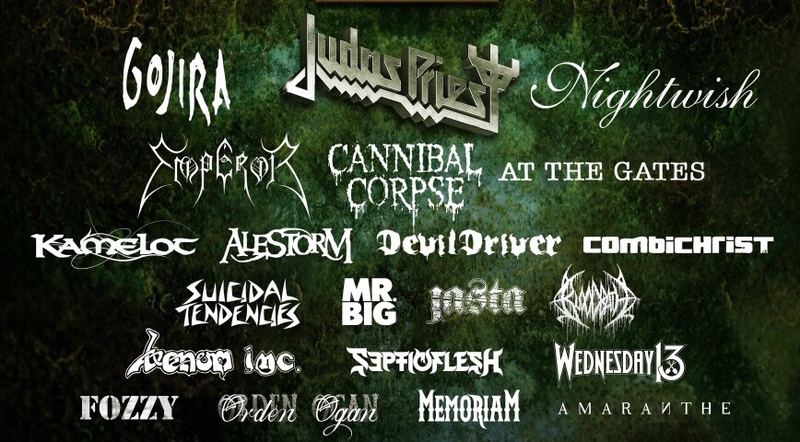 With a line up that already boasts Emperor, Watain, Kamelot, At The Gates, Memoriam, Septic Flesh, Suicidal Tendencies and it’s HEADLINERS Gojira, Judas Priest and Nightwish, Bloodstock have added even more to their bill. Now they’ve got Cannibal Corpse and Bleed From Within appearing on the main stage. I was also thrilled to hear that Cannibal Corpse will be the main support for Saturday’s performance (excellent!) and Bleed From Within would be Friday’s Sophie Lancaster Stage special guests. What a bloody line up! Joining these two are Godthrymm and Underside that hail all the way from Nepal. Im not going to lie guys, I thought that the initial line up wasn’t as breathtaking as it had been in previous years but now, Bloodstock 2018 is looking to be an even bigger, even better expansion of the festival and I cannot wait to go.